LBRY v0.21.2 is live, with some major updates to subscriptions and seriously improved search functionality. 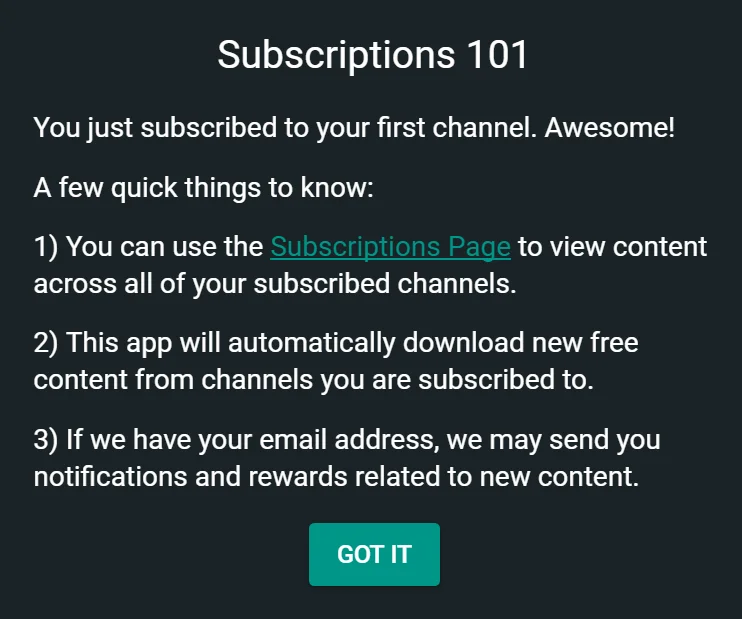 A popup explaining how subscriptions work now appears when users first subscribe to a channel, and subscribing will auto-download most recent content as well as any new content posted to the channel. Users will also get a popup notification when a new video is added to a channel they're subscribed to. We've upgraded the LBRY Protocol from version 0.18.2 to 0.19.1., which should improve reliability and help download performance and a number of other back-end processes. Get caught up on all changes in the release notes for 0.19.0 and 0.19.1. You can read the full release notes for v0.21.2 here. And if you haven't downloaded the app yet, what are you waiting for?